In the westernmost part of the gulf of La Spezia lies the beautiful village ofPortovenere, which takes its name from a temple erected in honor of Venus Erice, in Roman times, built on the promontory of St. Peter. 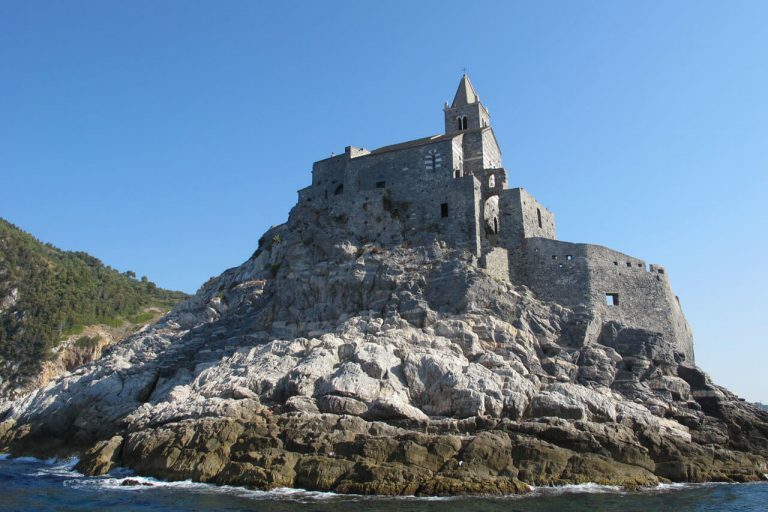 The unique landscape, the harbor, the beaches, the opportunities for immersion in the countless gorges created by the sea on the cliffs in front of the village and on the islands make Portovenere one of the most famous of the Italian landscape.The restaurants are estimated for the refinement of the fish dishes (especially the muscles grown in many nurseries), sprinkled with the wine of the Cinque Terre. The Borgo of Porto Venere offers, in its almost unchanged during 8 centuries, the sight of the visitor who can appreciate the unique landscape, the characteristic and picturesque views, the uniqueness of the portals of the ancient tower houses in alignment close to each other on street and fell. Give suggestions for a visit of this beautiful gulf appears difficult, we must let go at the suggestion of saltiness and color of the flight of seagulls, rock hard, the testimonies of history and art that wink in every corner of the country. Contact us to book your next trip to Portovenere with one of our yachts.